The Ladies offers something for players of all standards. Our First Team is highly competitive, playing in National Championship League B. Meanwhile, the Seconds are no less competitive, but with an added dose of "not too serious". After winning Midland Division 2 in the 2016-17 season, they enjoyed a successful first season in the top division, finishing in the top half. For the 2018-19 season, we have started a development squad for the girls, to help them make the step up from the juniors. Finally, for those who don't want to commit to regular competitive fixtures, we are happy for members to come along for training and a hit around. We're keen. In the depths of winter, when the pitches are all frozen, we have an indoor team playing midweek fixtures. In the summer we play mixed social hockey with the men and some of the older Kobras. 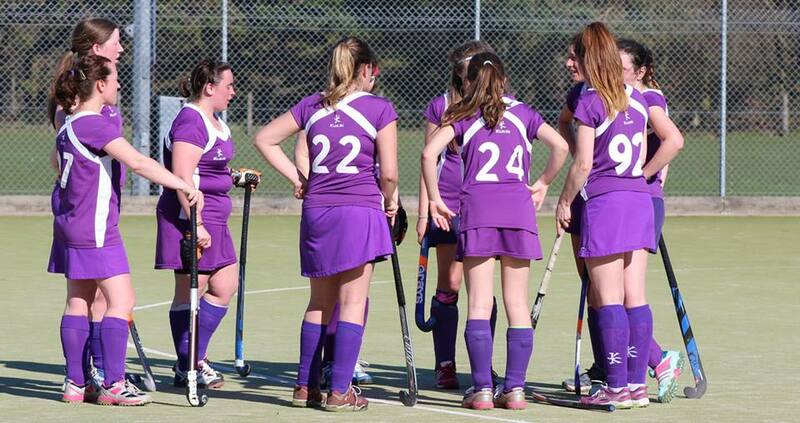 Having started as the Kinross Ladies Hockey club in 1974, the team now has a blend of young and experience, bound together by a friendly atmosphere and great good humour. An annual tour has become an integral part of the Ladies season. Usually at the end of May or early June we take to the road (or rails or skies) in search of good fun and great hockey. There's always a theme; fancy dress; a tour kit (never lose sight of it! ); and of course hockey! The 2018-19 subscriptions have been set at 10 payments of £21 for full members or £16 for youth players (under 18 years of age, or students). Non-competitive members rate is £9.50 and part-season subscriptions may be available on request. If you are interested in joining the club you can contact the ladies secretary via the contacts page. The 1s play in the National Championship League. The 2s play in Midland Division 1. 1995 Aberdeen The 2nd tour! 1992 Selkirk Our 1st tour!